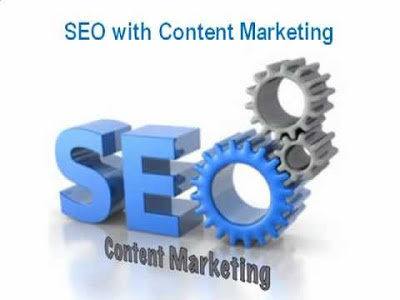 The site optimization for SEO is becoming less and less useful as and as develops content marketing. The interests of search engines and content marketing convergent: the former sought to trace the most relevant results to the user, while the latter aim to publish content that add value to the customer. The old formula "Good for the reader, good for the engine" became more real to progressively changes from Google, awarded exclusive content not enough or artificially enhanced. Optimization "abuse" of its web pages has become increasingly risky, especially this year with the release of Google Penguin, whose objective is to penalize pages "over-Linked." While Panda, released in 2011, clung to detect duplicate content and content pages created for the sole purpose of improving its position, Penguin mark SEOs who abuse netlinking strategies. Abundant warnings are actually quite vague Google technically, not to reveal the key to its operation crafty seeking at all costs to avoid them. But its recommendations are common sense and can only rejoice marketers who seek above all to satisfy their customers by disseminating relevant content and quality. Regularly publish the value-added content that meets a need or a question that may arise prospects. Vary the keywords used and think to insert the various tags in web pages (h1, h2, title, alt, strong). Create links with content in a meaningful way in promoting sites that deal with similar topics and publish them as high-quality content. Do not forget the share buttons . If their influence on the results of SEO is not yet fully demonstrated, it nevertheless they are a good way to create more links, and quality with your content. And expand their visibility on targeted networks. The application of these guidelines does not preclude use in addition to agencies that offer SEO optimization strategies based on sound practices and do not try to circumvent the system. Netlinking relevant strategy that does not rely entirely on the purchase or rental links poorly controlled mass will not be penalized by Google Penguin. But for those who can not afford to hire an SEO agency, the quality blog is a great value!